X1 PRO SSD | DREVO :: Game With Cool Tech. 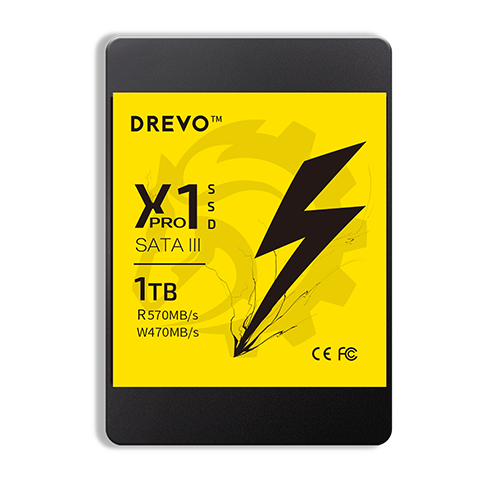 Incredible Read and Write Speed: Help boot up instantly, reduce loading time significantly, and accelerate necessary applications easily. Effortless Improvement: Energize computers to higher performance. The simplest upgrade for the aging machine, no computer knowledge required, easy to install and easy to use. Impressive Refreshment: Present the smoothest experience for continuously surfing internet, playing games and working. Make everything speedy and responsive.